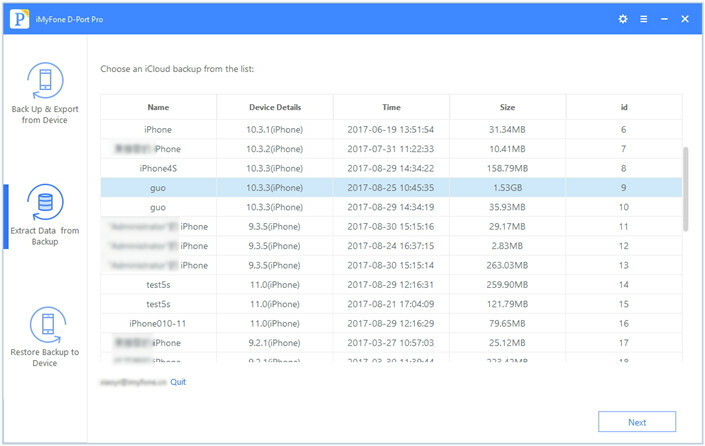 How Can I See What Is Backed Up on iCloud? There is no doubt that iCloud is pretty handy to back up data on iOS device and lots of iOS users are used to automatically back up their device to iCloud every day. 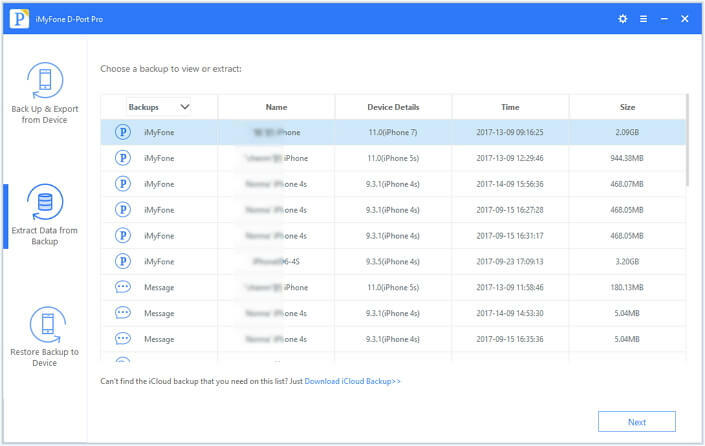 Want to know what is backed up on iCloud? The article will show you how to check what has been backed up to your iCloud. 1. What iCloud Backup Includes? However, that's a very general list. In practice, what shows up in iCloud depends on how much iCloud space you have. As a result, you may not know exactly what's there. In the following parts, you'll learn how to view your data in iCloud backup. View what is in your backups, including your iCloud backups and iTunes backup, without restoring the backup to a device. 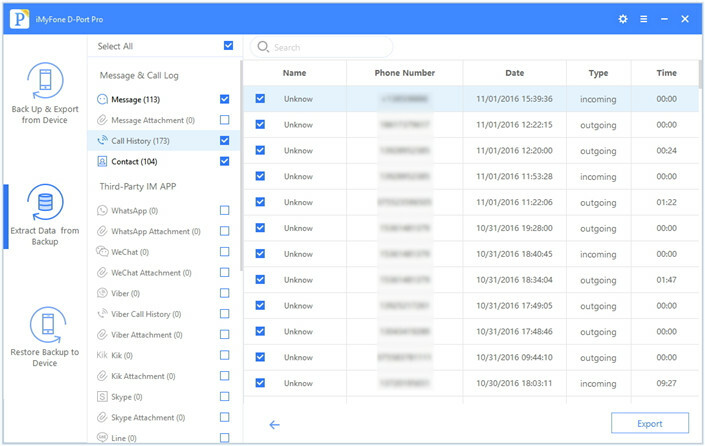 Extract 18 different types of data from your iCloud backup to your computer, where you can use it more freely. View different iCloud backups in different iCloud accounts. You're not tied to a single account. You can make and save backups almost anywhere on your computer for FREE. (1) Download and install D-Port Pro to your computer. Click Extract Data from Backup, then you will see all the iTunes backup on your computer. Click on the small link at the bottom of the list of backups that says Download iCloud Backup. 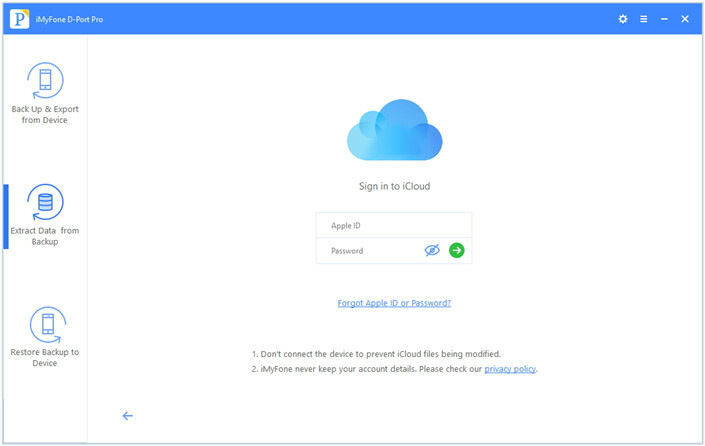 (2) You will be prompted to sign in using your iCloud details. Just sign in and don't you worry, your privacy is completely safe. (3) Choose the iCloud backup you want to view, then click Next. (4) Choose the data type you want to extract, then click Next. 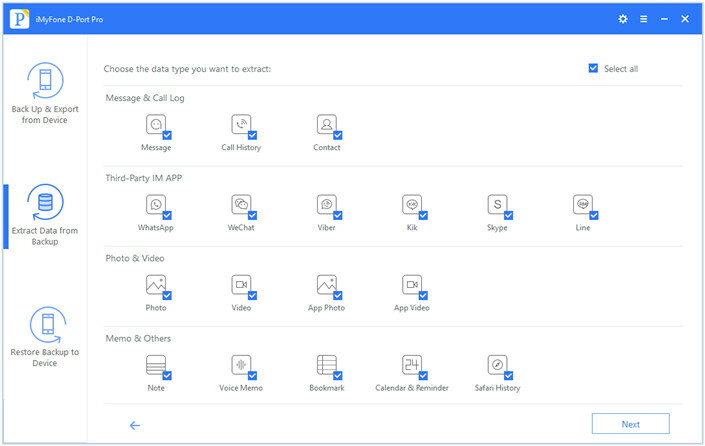 (5) You will now be able to see what data is in the backup. You can also choose the specific data you want from the list, then click Export if you want to extract it. (1) If you are using an old device, then go to Settings > General > Reset > Erase All Content and Settings to erase all the data and settings on the device. (2) After erasing, or if you are using a new device, you will see a Hello screen. 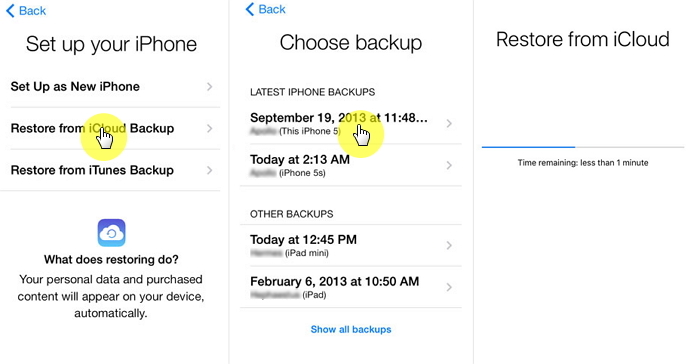 (3) Follow the instructions on device screen until you see the App & Data screen, choose Restore from iCloud Backup. (4) Input your iCloud credentials, then choose a backup to download. (5) Sign in your iCloud ID again to restore your apps and purchases and stay connected with Wi-Fi. Viewing the data in your backup without restoring is completely possible as long as you have the right tools. With iMyFone D-Port Pro, you'll have full control over your backups, making it easy to store them anywhere, extract data from them, or view them without affecting the data on any of your devices. Download the FREE trial version right now and give it a shot!